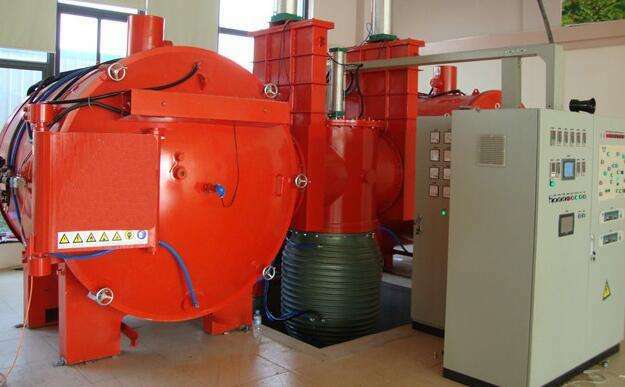 brazing furnace is used for the vacuum brazing of materials like non-ferrous metal, stainless steel, titanium alloy, high temperature alloy, cemented carbide, etc. Furnace brazing is a semi-automated process by which metal components are joined using a dissimilar lower filler metal. Furnace brazing allows design and manufacturing engineers to join simple or complex designs of one joint or multi-joint assemblies. SIMUWU brazing furnace Products, provides a wide selection of heat treating and thermal processing solutions. We provide various sizes of medical, sintering, continuous, tempering and high vacuum furnaces and ovens. We also offer vacuum brazing furnaces and ovens, optical coating systems, thin film disposition sputtering systems and atmospheric enclosures, commonly known as glove boxes. One of the most common forms of furnace brazing is accomplished in a vacuum furnace and referred to as vacuum brazing. Parts to be joined are cleaned, brazing filler metal applied to the surfaces to be joined, then placed into the furnace. The entire assembly is brought to brazing temperature, after the furnace has been evacuated of air, to eliminate any oxidation or contamination occurring as the braze filler metal melts and flows into the joints.